There is not much information on the packing. I only says that it’s a volumizing & strengthening mascara. And also above you find a sticker with + lash tinting complex on. And with that they wanna say that this mascara must make your eyelashes darker from color. Or I really believe that, mmm no really. But I like how the packing looks! I find the brush from this mascara very special, I never used a mascara with such a brush before. It has this special form so that it can reach all the eyelashes. The brush works perfectly! But of course the result is more important… Left you see my eyelashes without mascara and right with mascara. As you can see are my eyelashes looking much longer! As you can see gives the ‘I need a miracle’ mascara a beautiful effect! It makes my eyelashes long and black. And it also gives my eyelashes a pretty curl. I find this a good mascara that perfectly stays on his place the whole day. But of it really makes my eyelashes darker? 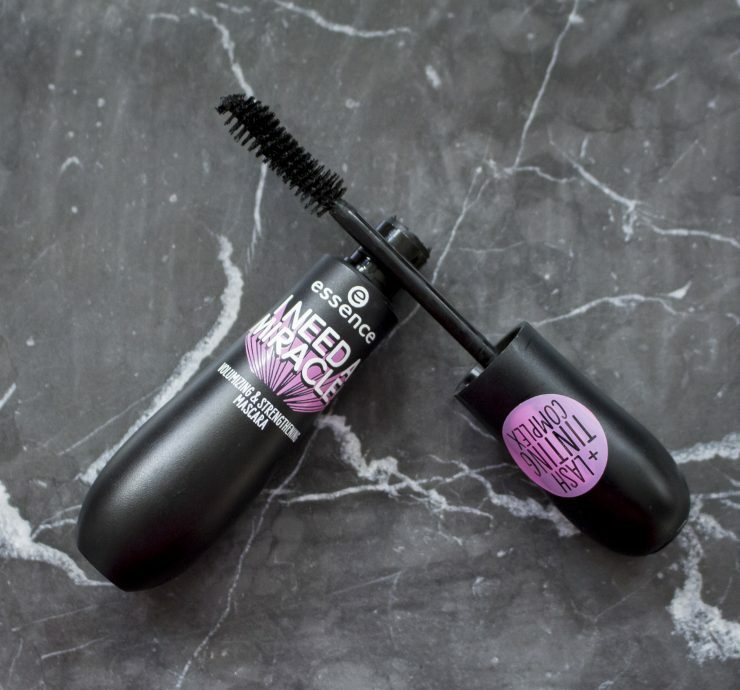 No, I don’t think so… It’s just a normal mascara that does what it promises! I find this a pretty good budget proof mascara! So if you are looking for a good mascara that makes your eyelashes longer? Then is this one perfect for you! But if you are looking for more volume? Then you better skip this one. Essence I need a miracle mascara cost €3,59.